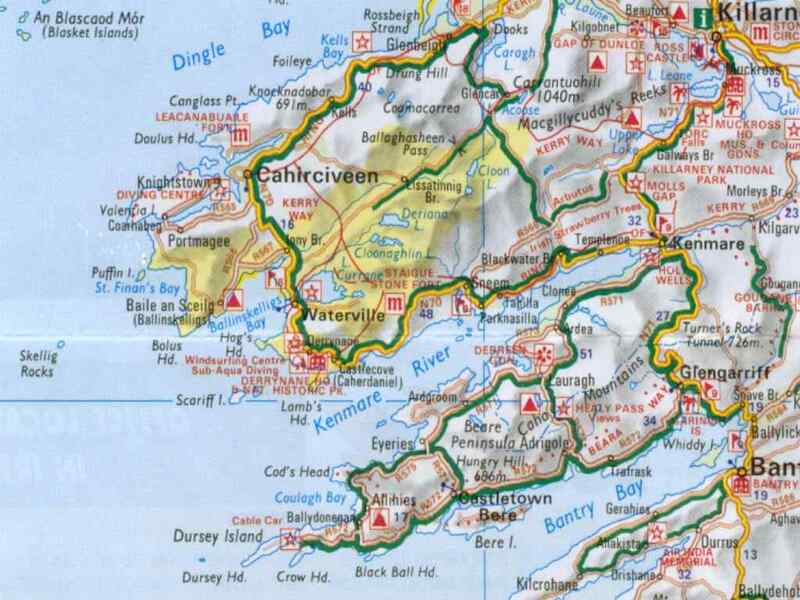 The Kerry region is one of the most beautiful and fascinating areas of Ireland. The nature has a wild beauty, forty shades of green in lush fields sweeping down towards the Atlantic Ocean to take your breath away. Take in the unique flora and fauna: yellow furze, huge rhododendrons, wayside fuchsias, puffins, whales and dolphins. The Southwest of Ireland - an unspoilt panorama of nature at its finest. Get away from it all! Far away from cities and industrial pollution you really can relax here and breathe in the fresh Atlantic breeze. Enjoy the experience of a lifetime. Look forward to a special holiday of peace and tranquillity. Read your favourite book in front of an open turf fire, take long leisurely walks or simply do nothing.